Wear your Night Ice light up earrings as beautiful sparkling crystal earrings during the day and a bright light show by night! Night Ice LED earrings light up when you want them to and are instant conversations starters! All you have to do is twist the battery pack on and your earrings stet radiating light! Original purple is a vivid magenta shade that stands out in a crowd. The ladies love them! Brighten up a fashionable outfit by adding these as accessories to your wardrobe. Night Ice LED earrings brighten up a room and set the mood. Project positivity to those around you and don't be caught at a concert or on the dance floor without them! 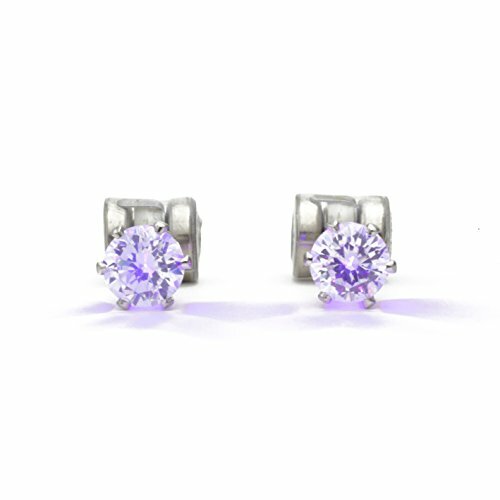 Original Night Ice glowing earrings are perfect for lighting up the dance floor and concerts. Night Ice light up earrings are instant conversation starters. LED earrings are perfect gifts and look great on men and women. Night Ice crystal LED earrings glow with LED light when you connect the battery-back. Night Ice light up earrings attract the right amount of attention and put people in a good mood! If you have any questions about this product by Night Ice ®, contact us by completing and submitting the form below. If you are looking for a specif part number, please include it with your message.